San Jose is a prime destination spot for vacations and settling down. Located in the core of Silicone Valley, this large city offers residents a mix of small-town charm and big-city amenities. Many people relocate to the area to further their career, but they come to find that this city offers so much more than employment opportunities. Being close to both the mountains and the beach gives locals and visitors many choices of fun things to do. There are a handful of parks, museums, and other popular attractions. Due to the city’s safe and friendly atmosphere, both singles and families are attracted to the area. If you are considering moving to San Jose, you will need your car to get around the city. Car shipping services offer you the best option in both safety and simplicity. You won’t have to worry about driving for hours in the car. Fly, and ship your car, instead, for faster travel time. Learn more about California Car Shipping. You know that moving to a new city has its challenges. Some of this moving-day stress can be reduced by hiring a professional car shipping company. Car transport is the best service available for those looking for convenience and greater peace of mind. Here are a few of the advantages of shipping a car. When you ship your car, there is much less hassle. Driving, especially long-distances, can be stressful. Shipping means that you don’t have to worry with traffic or poor weather. In addition, you won’t have to run the risk of encountering accidents or potential breakdowns. You can save yourself a lot of time by hiring a car shipping company. Traveling across the country requires hours, or even days, of travel time by car. If you are shipping your car, then you can fly to your destination, allowing you more time for the important things in life. Imagine all the things that you will have time for. By shipping your car, your vehicle will not be used as much. It will only be driven for loading and unloading purposes. This means that less gas and oil will be used. It also means less wear on the tires. This will keep the mileage low on your vehicle, which is especially important for those who own classic cars. When picking a place to live, San Jose is definitely a location to consider. If you are weighing out your options, here are a few things that you should know about San Jose that might help you make up your mind. There are many great colleges and universities for those looking to continue their education. San Jose State University, San Jose City College, Silicon Valley University, and Evergreen Valley College are just a few of your options. From your wide array of choices, you are sure to find a program that strikes your interest. San Jose has a booming job market and a steady influx of eager business professionals ready to accept the position. The most prominent industries include science and technology. Many large corporations are headquartered in the area. Some of the major employers include Adobe, Apple, Cisco, and eBay. With an unemployment rate lower than the national average, the expectation of a position may be high. However, the city does cater more to the younger generation. The unemployment rate is slightly higher for older individuals, over 55, looking for work. Like many other parts of California, the weather is near perfect. Temperatures are typically between 70 and 80 degrees in the summer, while the winter temperatures average in the 50s. This creates comfortable living conditions all year-round. Therefore, no matter what season it is, you can get out and enjoy everything that San Jose has to offer. From sushi to burritos, San Jose offers a little bit of everything to satisfy everyone’s taste buds. After all, the city is known for its diversity, and this doesn’t exclude its cuisine. When it comes to restaurants, you will find Indian, American, Italian, Mexican, and much more. When it comes to flavors, you are in for a real treat. You must try the mouth-watering ribs, cheesesteaks, and sandwiches. 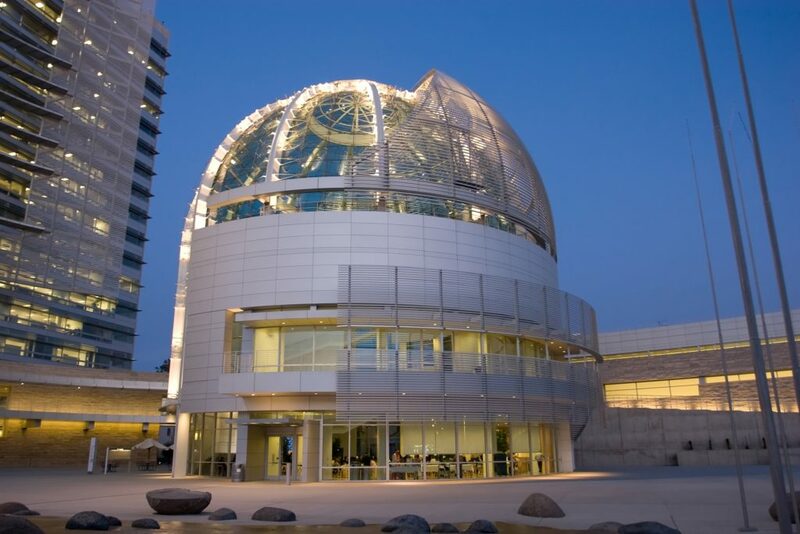 You may have already come to realize that San Jose offers many opportunities to have fun, such as with outdoor recreation, sporting events, and more. Here are a few of the most popular attractions in the area. Santana Row – This is the prime destination for shopping, dining, and entertainment. There are also many events and concerts held here. Winchester Mystery House – Experience and see doors that lead to nowhere, uniquely-built staircases, spider web windows, and maybe even a supernatural phenomenon. SAP Center – The convention center holds many events, including hockey games, concerts, wrestling matches, and comedy shows. There is a little something for all interests. Municipal Rose Garden – Stop, and smell the roses. This makes for a beautiful place to spend the day. You can even come during the winter months, but the roses are especially beautiful during the warmer seasons. Almaden Quicksilver County Park – If you love the great outdoors and hiking, then this is the park for you. Make sure you pick up a map, so you do not get lost along the way. National Dispatch offers car transport services anywhere in the country, not just to and from San Jose, California. Our customers count on us, time and again, for excellent customer service and competitive car transport rates. We transport cars, trucks, SUVs, vans, and motorcycles. If you are in need of car shipping services, then request a free, instant car shipping quote using our online quote form. Unlike many of our competitors, our car shipping quote requires no personal information. If you prefer to speak with one of our agents, call us at 800-321-2051. You can also chat with us online.